ALEC PETERS is pretty much a man who needs no introduction…at least in the fan community. But if you’ve only just landed on this planet, here’s a quick run-down. Alec has been the driving force behind the fan production AXANAR for half a decade, writing, producing, and appearing in the widely popular Prelude to Axanar fan film. He worked ceaselessly over three crowd-funding campaigns to raise more than $1.3 million in fan donations to build out a studio and sets and begin filming a 90-minute Star Trek fan film detailing the final battle of the Four Years War with the Klingons at the planet Axanar. And then Alec got sued by CBS and Paramount for copyright infringement. He fought back, and after a year of legal proceedings, the lawsuit was settled just days before a trial was set to begin. While the specifics of Alec’s settlement with the studios aren’t public, we do know that Alec is now allowed to make two 15-minute Axanar fan films with his original cast (if they choose to return) as well as other entertainment industry professionals. 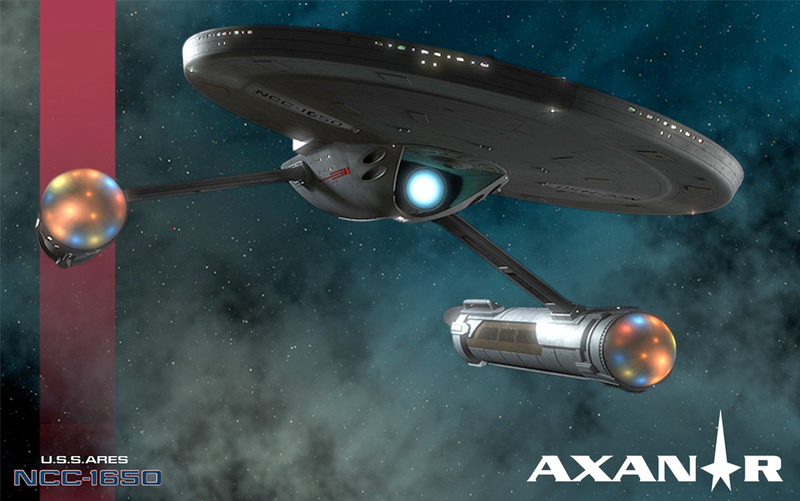 Last October, it was announced that Marvel Comics writer PAUL JENKINS would be joining ALEC PETERS as co-writer of the 2-part Axanar fan film allowed by the settlement with CBS and Paramount. I interviewed Paul shortly thereafter, and you’re welcome to read what he had to say here. But then Axanar went pretty quiet over the holiday season and through the entire month of January. But last week, Alec posted a flurry of updates, and suddenly I’ve got LOTS to report on! 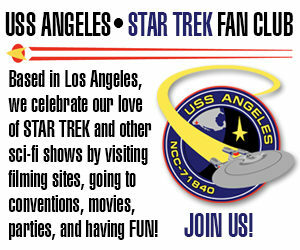 If you regularly visit the AxanarProductions.com website, chances are you already know most of what I’m about to tell you. In fact, I’ll be taking a lot of the updates verbatim from there. But since not all my readers go there, I’ll be providing all of the updates here in one convenient blog post. Author Jonathan LanePosted on February 26, 2018 February 26, 2018 Categories NewsTags Alec Peters, Axanar, Paul Jenkins29 Comments on The latest AXANAR NEWS! Last time, we began a fascinating discussion with PAUL JENKINS, who will be the new co-writer of Axanar. Although ALEC PETERS has already written complete drafts of the two 15-minute short fan films allowed thorough his legal settlement with CBS and Paramount, and at least ten major iterations of the full 90-minute script exist, Alec has asked Paul to come on board to help polish and finalize all three long and short scripts. Paul himself is a very impressive writer and film producer in his own right. He is credited as one of the main reasons that Marvel Comics escaped Chapter 11 bankruptcy in the 1990s when he helped to create the “Marvel Knights” series of titles. He has written a wide range of both Marvel and DC comics characters, winning an Eisner Award and five Wizard Fan Awards. His work on Wolverine: Origin was even turned into a blockbuster feature film. Paul has written and creative directed numerous titles for the video gaming industry, and he’s worked on projects with many of the major motion picture studios. Paul currently lives in Georgia and chairs an advisory committee to educate the Georgia General Assembly on the evolution of digital and interactive technologies. He’s also been tasked by Georgia’s governor to help cultivate and nurture the growing film development industry in the state. And now Paul will be lending his impressive talents to Axanar. But Paul is taking it all in stride. Having been a prolific comic book writer for more than two decades, this isn’t Paul’s first rodeo. As far as he is concerned, the lawsuit has been settled, and now the job ahead is to make the next two Axanar episodes as good as they can be.